Today we launched our people power campaign to reduce the cost of green energy so people can help fight climate change and reduce their bill. Working with the 38 Degrees the Clean Energy Switch is the first of its kind. A collective switch focused solely on renewable energy. Britain's first ever mass switch to clean energy launches today (Tuesday 1 September 2015). The Clean Energy Switch will use the bargaining power of tens of thousands of people to cut the cost of renewable energy making it affordable for ordinary families. "We should all be concerned with ensuring our future is a greener one, so I wholly welcome the first green collective switch. By mass switching to an affordable, renewable tariff, we will not only be doing our bit individually, but also sending a powerful message to Government and the energy industry, showing increasing public demand for cleaner energy." "When 70% of households on the Standard Variable Tariff are being overcharged, people power switches to get a cheaper, cleaner energy deal are welcome. Labour was the first UK political party to organise a big switch but energy market reforms are still needed to ensure everyone gets a fair deal." "Energy bills are one of the biggest strains on household budgets for people throughout the country. I hear from countless people who feel powerless after years of price rises, and for too long, getting a cheaper price has meant giving up on being green. That is why I have signed up to The Clean Energy Switch today, and I am encouraging people to do the same. 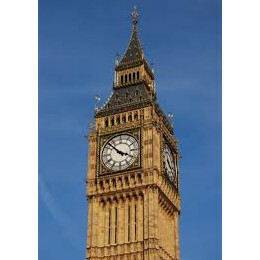 Together, we can beat the Big Six, protect the environment and save money." "In the face of cuts to green projects and subsidies, the Tory government has given the impression that they have little interest in promoting green energy. The opportunity to move to lower carbon is a far better solution. By harnessing the power of consumers, we can make it easy for people to help combat climate change, save money and support the renewables industry. I encourage as many people as possible to sign-up to show the Government that climate change does matter to people." Climate change is a major concern, recent polling by Opinium found that 72% of people believed that it would pose a serious threat to global stability in the next 50 years. Many (69%) also said that the actions of individuals could help reverse climate change. The same poll revealed that 91% of people would consider switching to green energy, but only if the price was right. 73% of Big Deal's 70,000 members have said that they would be interested in a "competitive priced" green energy deal. 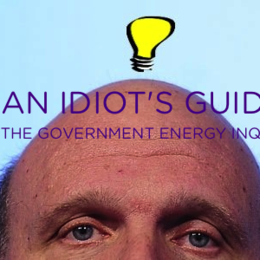 "The Big Deal has long used collective bargaining power to make energy more affordable. With the Clean Energy Switch, we'll make it affordable and sustainable. Millions of Britons feel a duty to help environment - the Clean Energy Switch will help them save some money in the process." "For too long we've been ripped off by energy companies who keep prices high. They're cheating us out of a fair deal. And destroying our environment. The Clean Energy Switch is bringing people power back to the energy market." 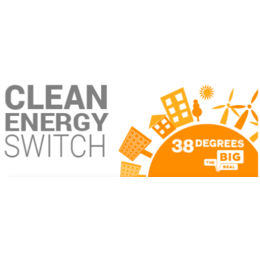 People sign-up for free at the 38 Degrees website https://speakout.38degrees.org.uk/campaigns/clean-energy-switch) or at www.thebigdeal.com entering just an email address and postcode to express an interest. There are zero obligations. Signing up does not mean you have to take the deal. Using the collective bargaining power of tens of thousands of people a brilliant green energy deal is negotiated via a reverse auction with green energy suppliers. The winning tariff is announced, delivering a great green energy tariff. It's free to take and means people will save the planet as well as save themselves some money. People then begin switching to the tariff which is open for a limited period only. Energy suppliers either generate renewable energy themselves or buy it from renewable sources. When someone switches to a renewable energy tariff, the company sources 100% renewable energy for that person. By buying this energy the switcher is sending a clear signal of support for renewables. 1,628 Big Deal members were asked "Would you be interested in a green energy deal?" - 8% responded "yes" and 65% responded "only if it was "competitively priced." Launched in March 2014, we now has over 70,000 members and continue to grow. 62% of our members have never or hardly ever switched before - these are the very people who have been let down by the energy market. Moreover, 60% of our members are over the age of 55 and 30% over the age of 65.